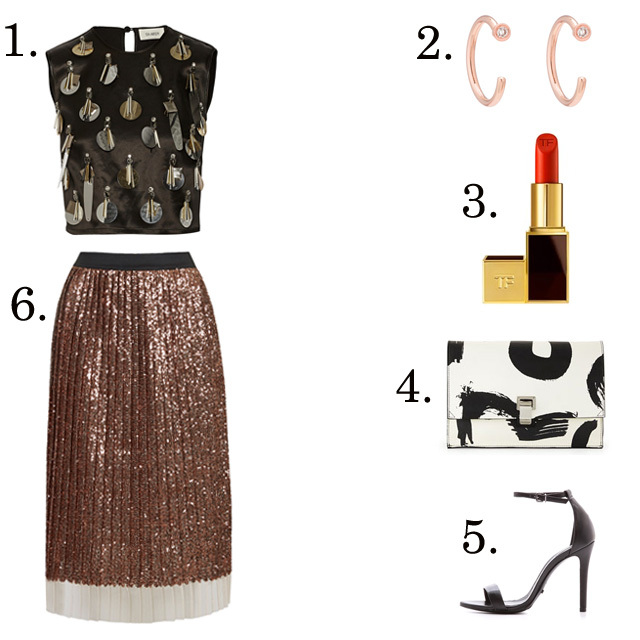 I wore my gold metallic pleated skirt out the other night and raked in a slew of compliments. 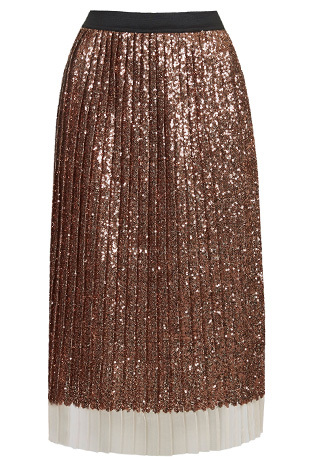 Thinking I might up the ante with this sequined (just-right-for-the-holidays) statement. Marlien - I have a Topshop gold metallic pleated skirt in the same style as this one (perhaps it is the same skirt as yours), and I often struggle to style it. I love it deeply and wish I wore it more. Can you offer any additional styling suggestions for it or this skirt? Many thanks! Yes yes, I agree with above. I also have the gold pleated midi and wonder how else to wear it besides an oversized sweater?